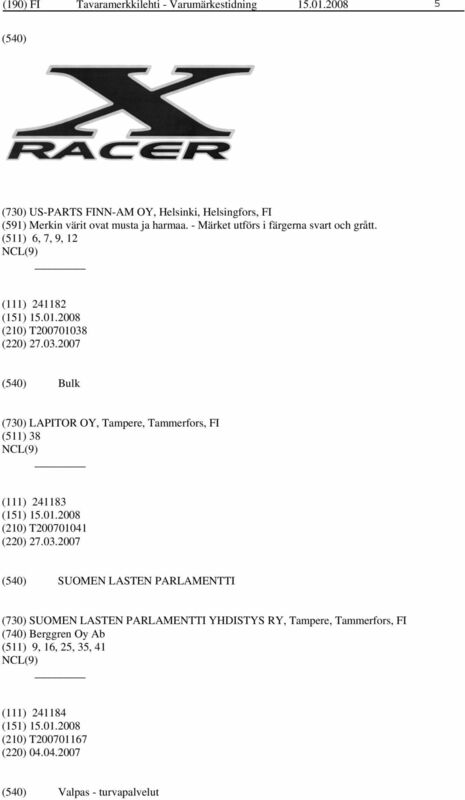 Download "Suomi - Finland SERLA TAVARAMERKKILEHTI VARUMÄRKESTIDNING. 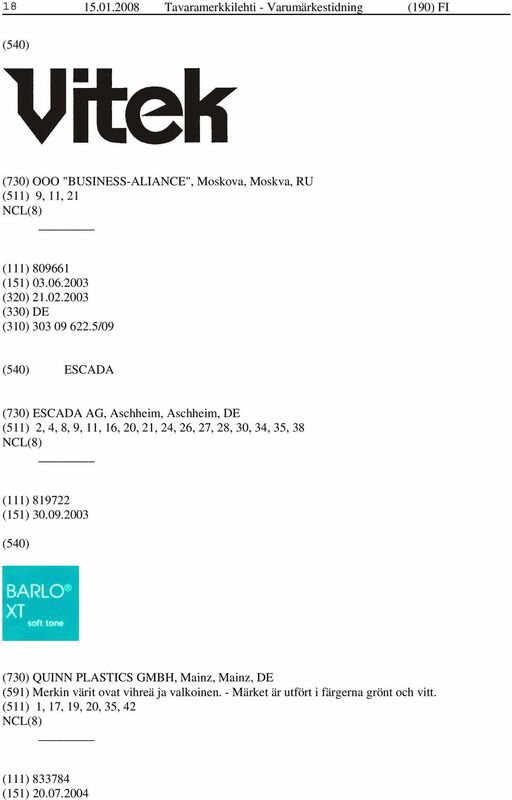 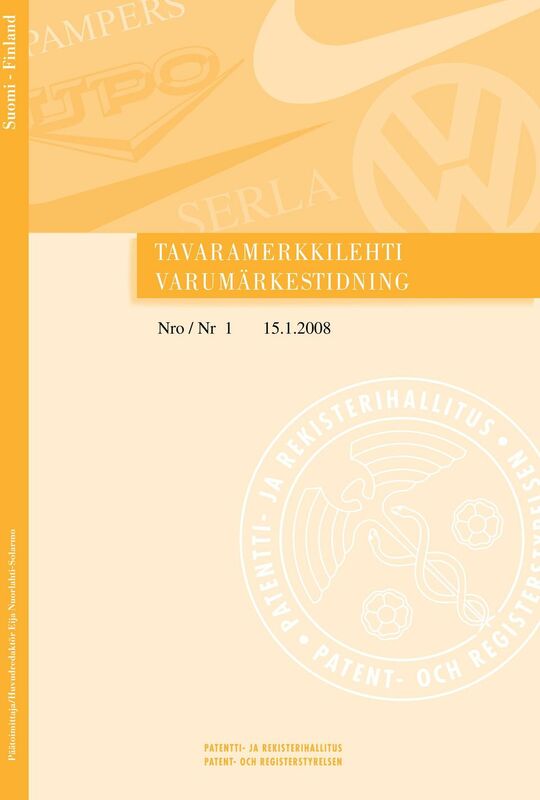 Päätoimittaja/Huvudredaktör Eija Nuorlahti-Solarmo Suomi - Finland"
30 Tavaramerkkilehti - Varumärkestidning (190) FI Part Seven Payment of Fees Section 19: Modes of Payment Fees may be paid to the International Bureau (i) by debit to a current account with the International Bureau, (ii) by payment into the Swiss postal account or to any of the specified bank accounts of the International Bureau, (iii) by credit card, where, in the context of an electronic communication envisaged in Section 11, an electronic interface for online payment has been made available by the International Bureau. 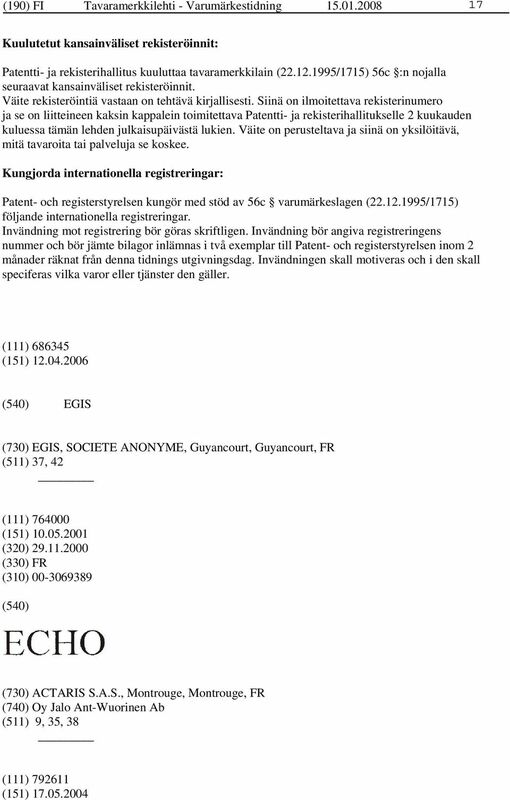 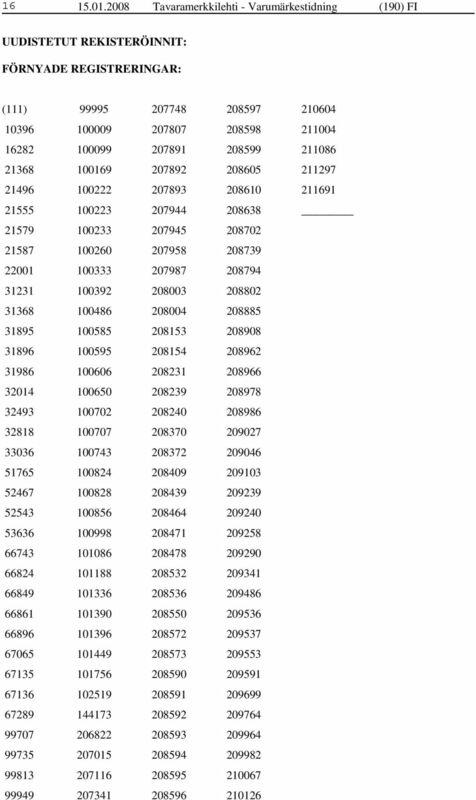 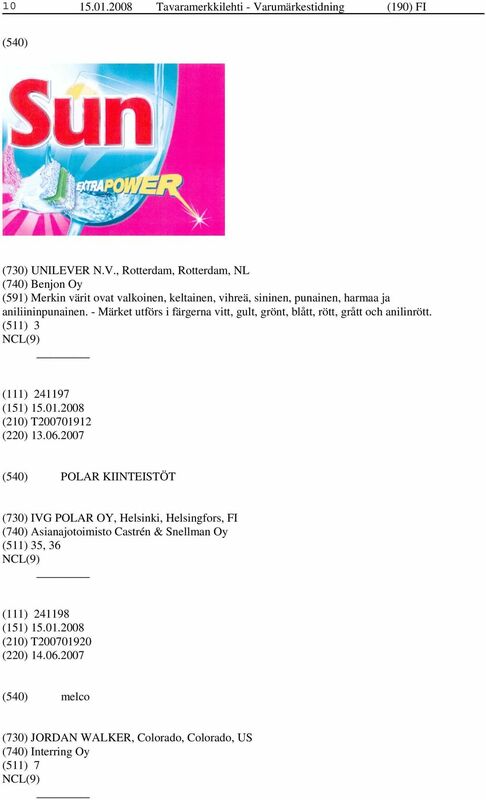 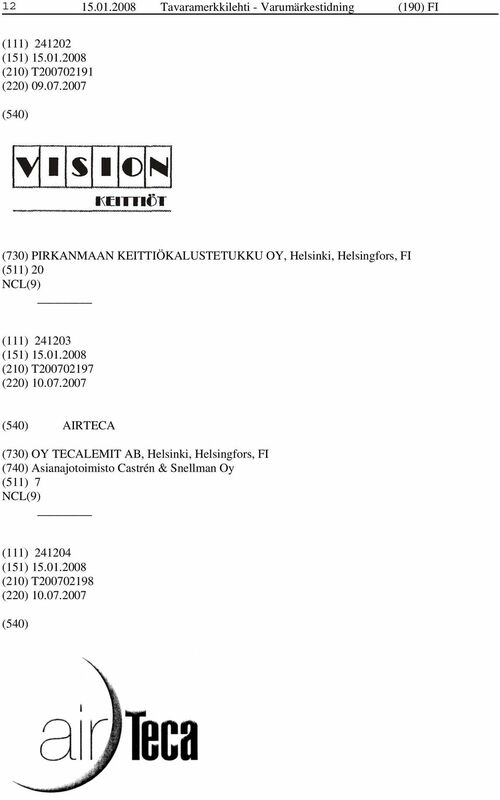 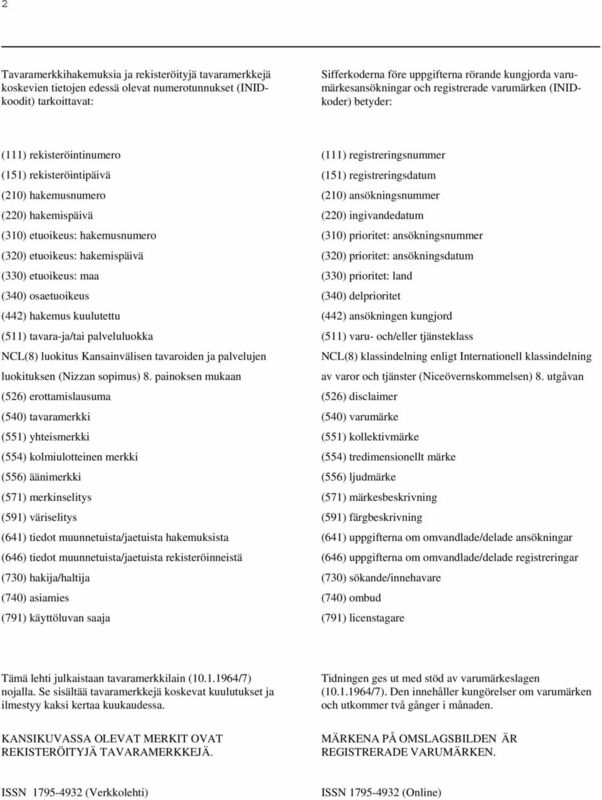 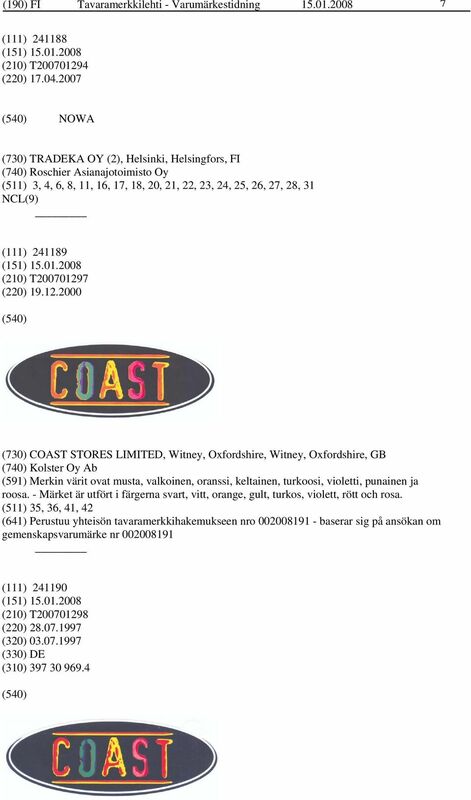 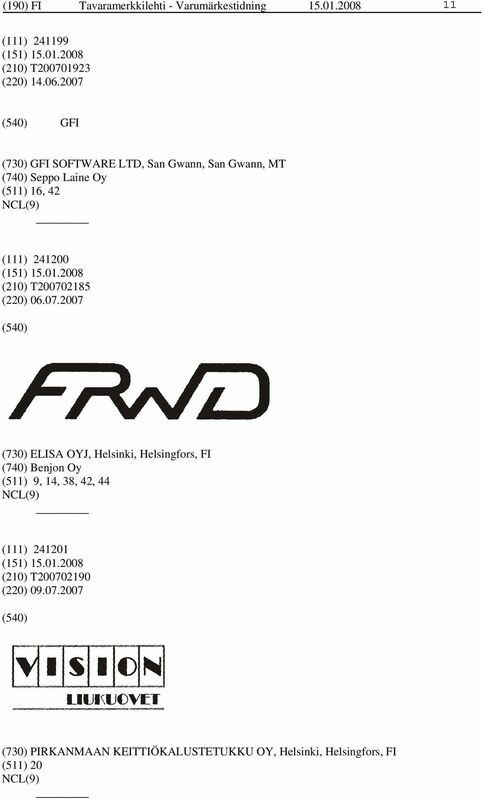 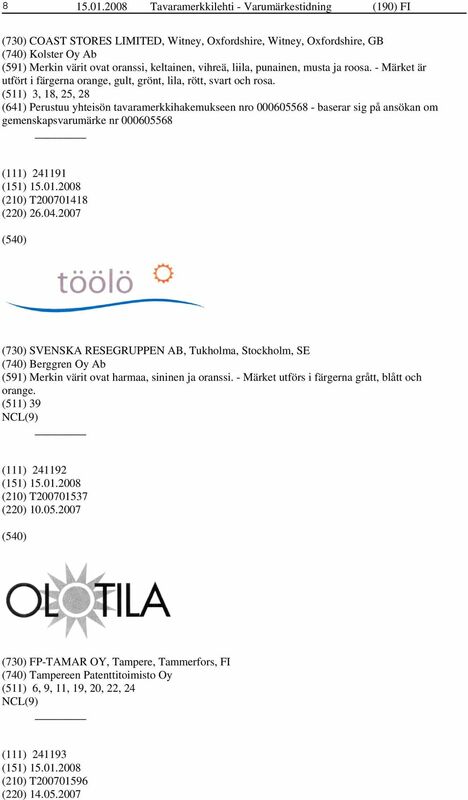 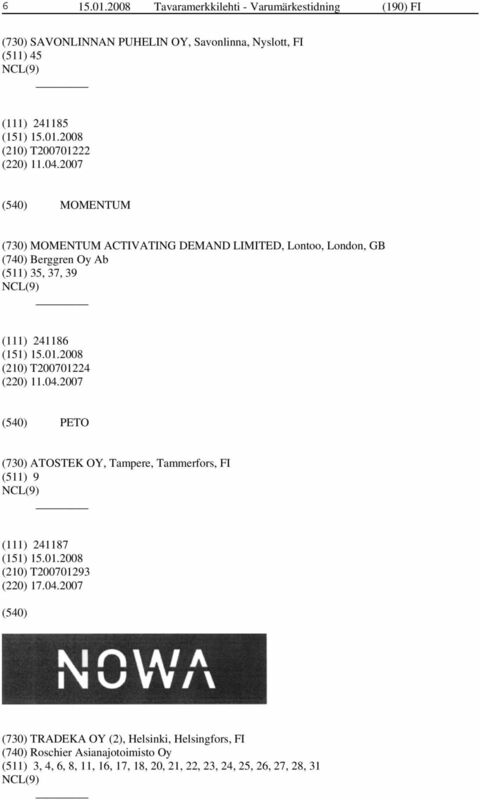 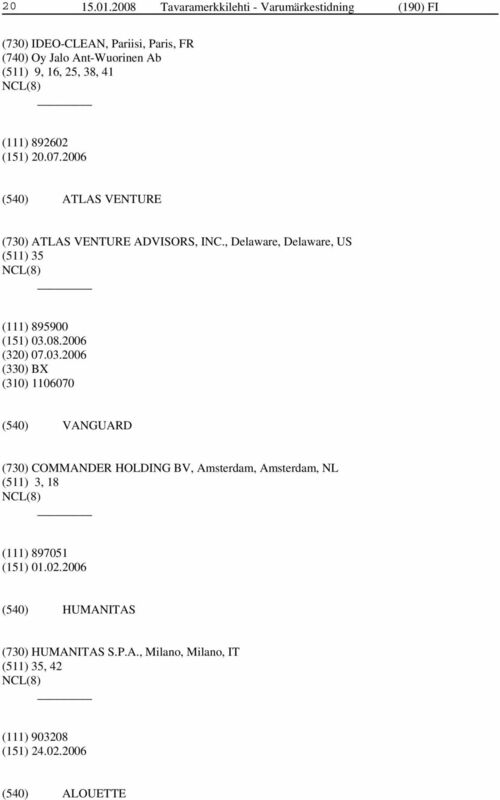 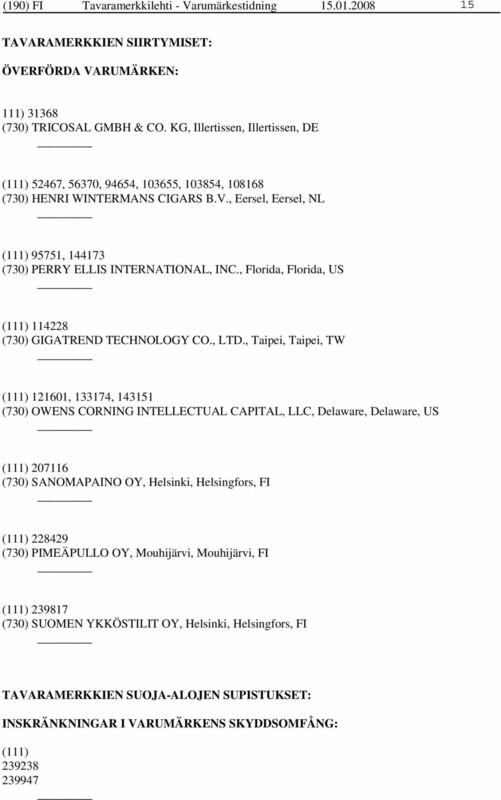 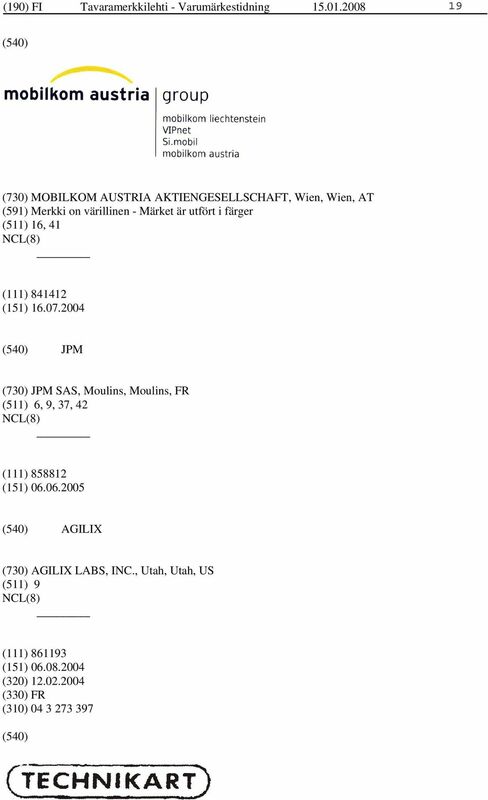 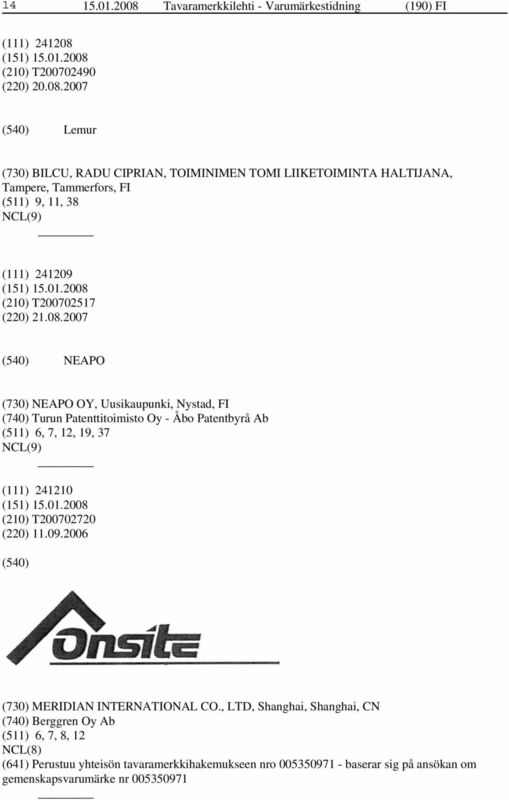 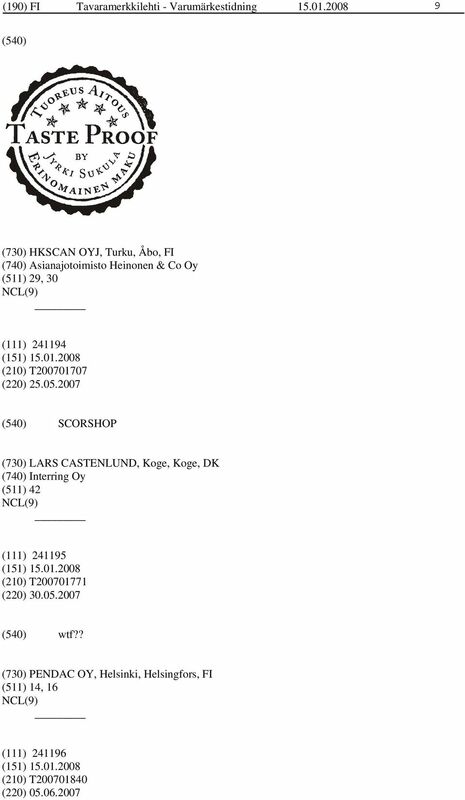 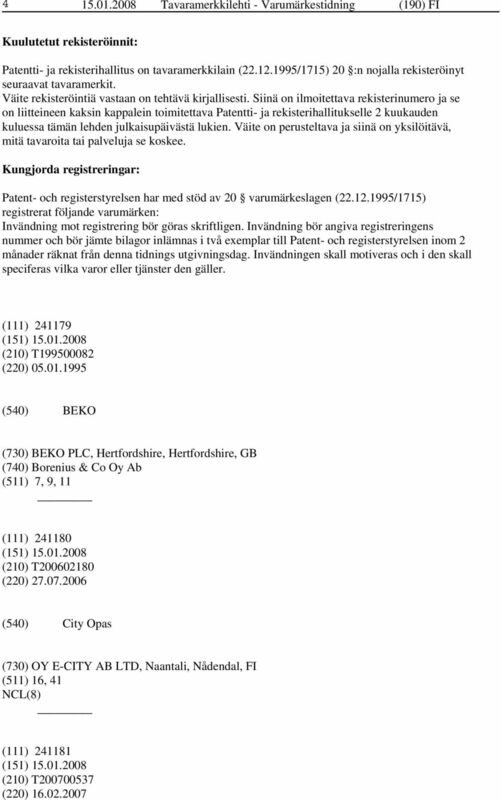 Nro/Nr 12 14.12.2007 KUULUTETUT MALLIHAKEMUKSET: Mallioikeuslehti 14.12.2007 Patentti- ja rekisterihallitus on tänään hyväksynyt seuraavat mallihakemukset kuulutettavaksi mallioikeuslain 18 :n mukaisesti.